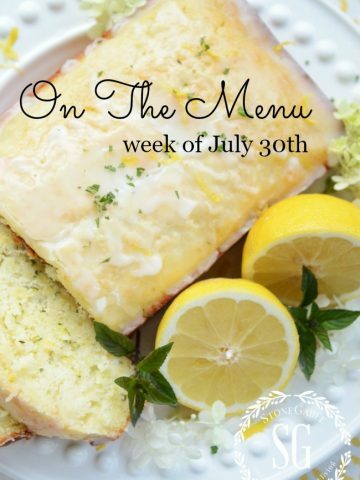 On the menu this week are some seasonal favorites and some summer hanger-oners! Here at StoneGable, we have had a pretty miserable and wet summer growing season. So much of my peak-of-summer veggies are just now producing. The tomatoes are riotous as well as the onions and leeks. So right now I’m yielding the best of summer and early fall bounty! Today on Decorating Tips and Tricks we are talking about Eco-Friendly Design And Decor. You might be surprised to learn all the easy and stylish ways to make your home more earth friendly. I hope you are hungry! When fall rolls around I’m all about making soup. It reminds me of my grandmother, Nani! She was quite a soup maker and I remember how delicious her home always smelled. My home will smell scrumptious too today! 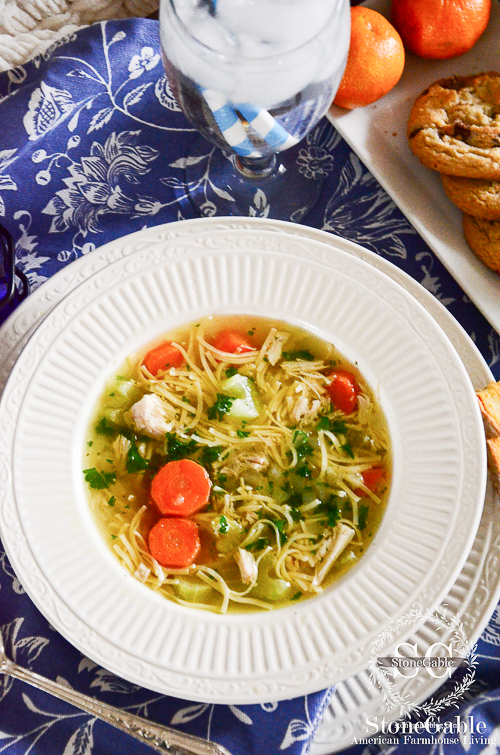 If you make one thing on the menu this week let it be the best Chicken Noodle Soup ever! As a rule, there is at least one fish dinner on the menu every week. I’ve been learning a lot about fish. It is so good for you but the way it is caught and raised as a whole lot to do with it’s quality. Always know where your fish comes from and if it is farmed or wild caught. I usually go to WholeFoods for fish. It is safe and reputable and the fishmonger there is very knowledgeable. Just remember not all fish is the same. 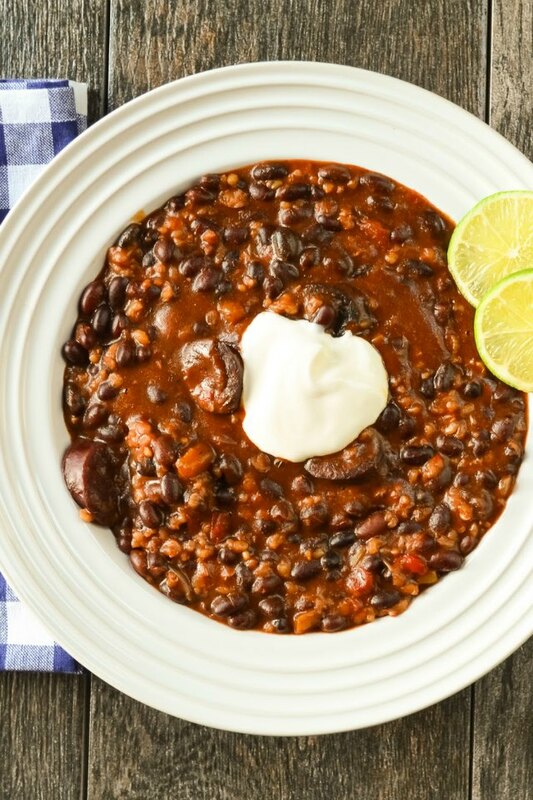 I made this recipe for my family a few weeks ago and it was such a huge hit! 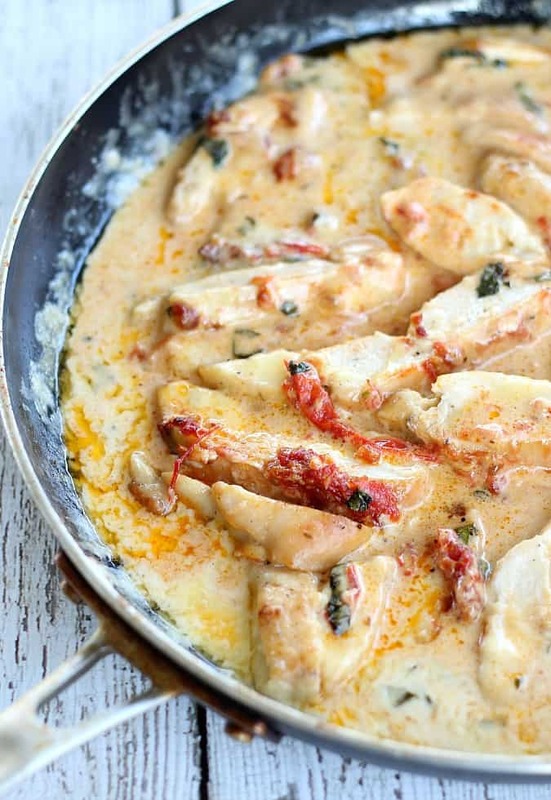 Today is an encore of Chicken With Tomato And Basil Cream from Good Dinner Mom! 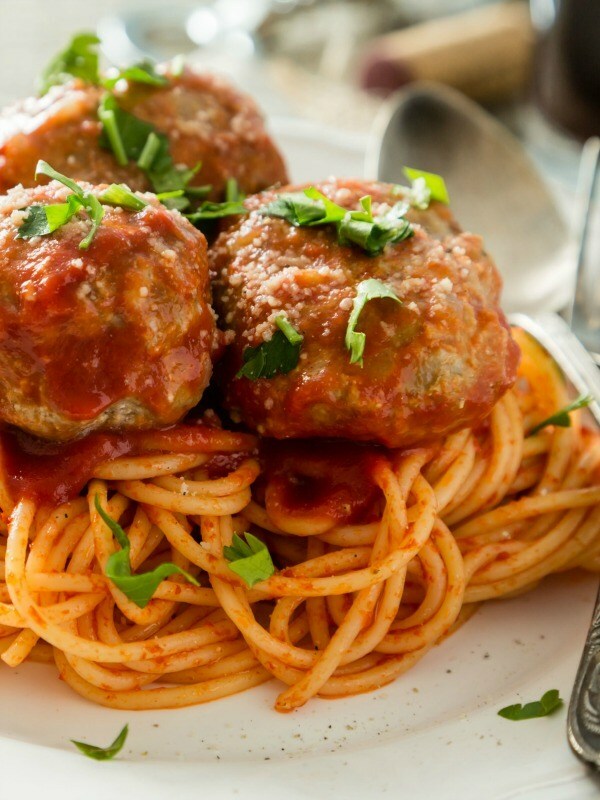 My friend Fran gave me this amazing, foolproof recipe for the best meatballs. And it’s so so easy. This recipe comes with a warning though and you will have to read the post to see what it is! Very funny! 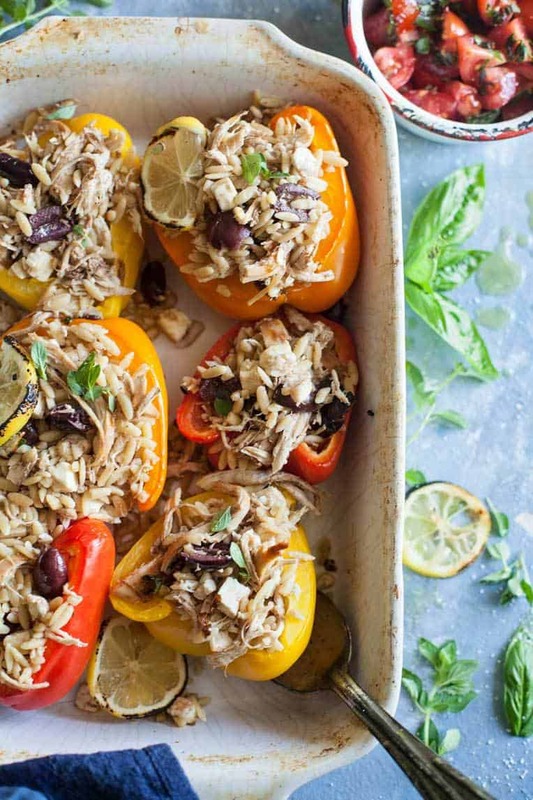 I can’t wait to make this recipe from one of my Favorite Foodie Blogs! 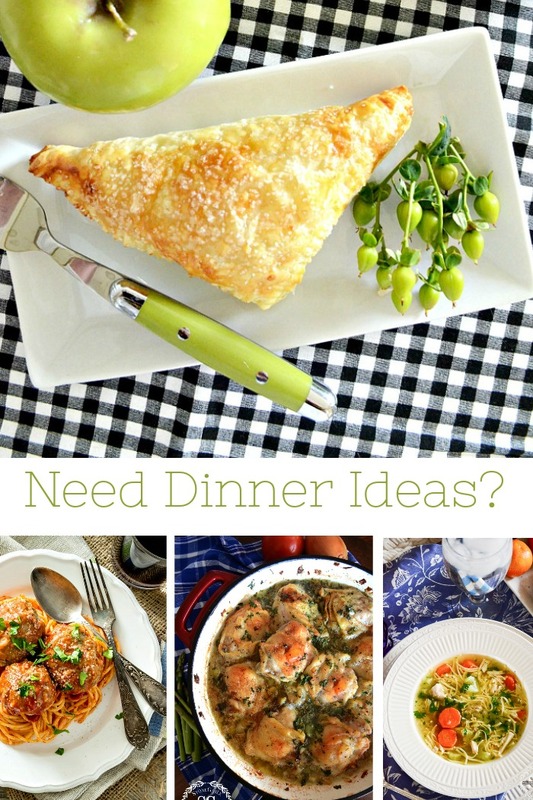 Serena at Serena Bakes offers us so many scrumptious and doable recipes. YUM! 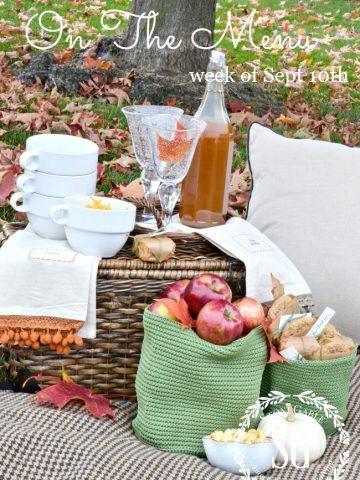 Isn’t this perfect for a fall day? We still have beautiful, colorful peppers in our garden and I’ll be using them in the feast-for-the-eyes dish. LOVE this take on an old favorite! Stop by Feast And Farm and say hello… they are on my list of Favorite Foodie Blogs! I’m making a small spiral ham for dinner tonight. So easy and it feeds a crowd. We will have leftovers for next week and a bone to make bean soup. Gotta love a no-waste piece of meat like a fabulous ham! I planted shallots or the first time this spring and I have a bumper crop. Shallots are a very mild onion flavored veggie with the tiniest hint of garlic. I’m obsessed with them and use them en lieu of onions all the time. 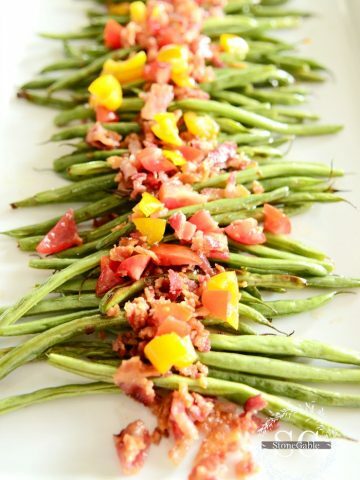 Green beans and shallots are a fabulous pairing! We have an old apple tree in our yard. The apples are small and very good for baking but not so much for eating. So this fall I’ll be making lots of apple treats and freezing them. 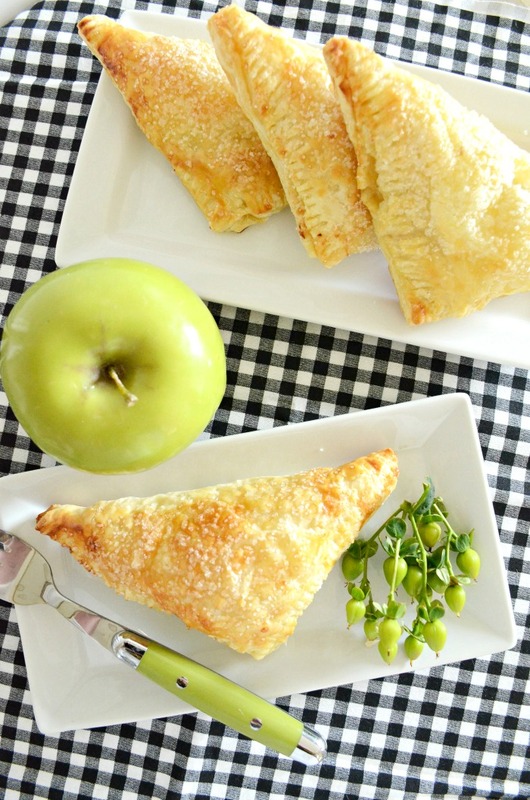 Homemade apple turnovers are not hard to make when you use a good quality puff pastry! Best eaten when they are warm… and with a dollop of ice cream! A delicious sweet treat on the menu! What a delicious bunch of recipes! Can’t wait to try them. 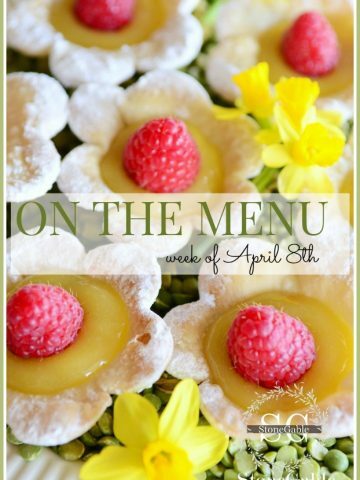 One question…at bottom of this post is the link to April 8 ” On The Menu”, and I wanted the recipe for the Raspberry & Lemon Curd flower Tartlets, but it tells me “Can’t reach this page”. Any way to get this recipe? Thanks…love your posts!! I just printed off a bunch of the recipes! Yummy! I got hungry just reading this. I was also thrilled when I was reading my Country Sampler Autumn Decorating magazine and saw you in there! Anita as well, it was so excited to read those articles and helpful tips as well. 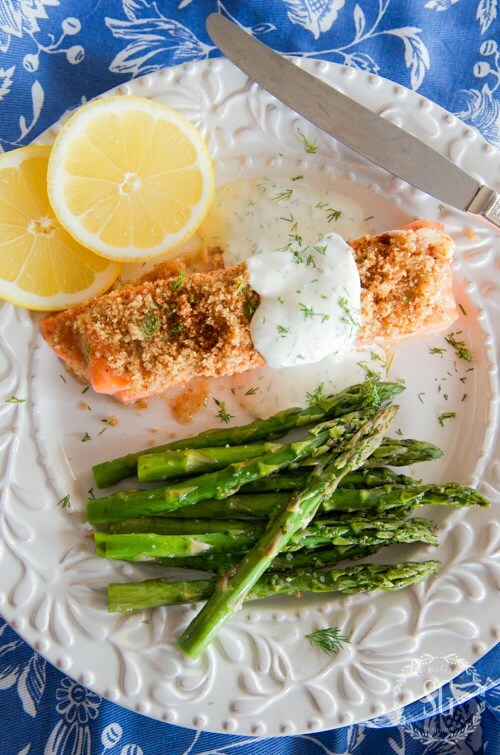 Have a great week, and thank you for these delicious recipes! I’m so glad you saw us!